I strongly believe that the first image of study abroad should never be backpacking or vacationing throughout a continent. However, I still think that traveling internationally while studying abroad allows students to become more mindful of the cultural variations and connections between countries. By fitting in one or two international trips during their semester abroad, one’s appreciation and understanding of their “home-base” country can only improve. As much I grew by traveling within Chile, whether I went to the northern desert or the southern lakes, the chance to see how Chile as a country compares with the continent as a whole has been just as rewarding. São Paulo, Brazil At the beginning of May, I traveled from Santiago, Chile to the other side of the continent to visit a friend who lived in São Paulo, Brazil. I was primarily in Brazil to catch up with a friend who I hadn’t seen for quite some time, but it was also my first time in the country. I couldn’t help but focus on the cultural and societal differences between Chile and Brazil. 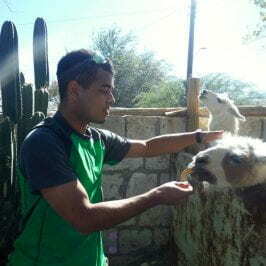 After quite a few months in Chile, I’ve learned to become quite comfortable with being identified as an outsider in Chile due to my curly hair and brown skin. However, in Brazil, looking around on the metro and at parties, I didn’t feel as out of place. Not only did I see people who phenotypically resembled me, I also got the impression that in Brazil, phenotype has less to do with one’s national identity as a Brazilian (even if racial inequality still exists). Unlike in Chile, where I believe there is an accepted phenotype in the Chilean national imagination, Brazilians come from so many different ethnic backgrounds that you couldn’t draw a picture of one person to represent all of Brazil. The multiculturalism that I had missed from being at a diverse American college like Amherst was rediscovered during my trip to Brazil. However, like Chile and the U.S., Brazil is not perfect. Despite it’s ethnic diversity, few Afro-Brazilians have managed to enter universities as students and professors alongside their white peers. Only a minority of students I met at an open party on the University of São Paulo campus were noticeably black. There is a growing activist movement at the university to create quotas for minority students to diversify the student body. The party I went to was hosted by a progressive student group and at one point an Afro-Brazilian feminist student rapped about social justice issues on campus and in Brazil more generally. Of course, I didn’t understand everything she said with my limited Portuguese, but I could sense from her energy and passion that the issue of race and educational opportunity would only become a more critical social issue in the months and years to come. I had only started learning Portuguese earlier this year, but many of the Brazilians that I met were very happy to talk to me slowly or let me speak to them in Spanish (because of the similarity between the two Romance languages). While my Spanish still needs work, it was strange for me to be incapable of communicating with people at the level that I had grown accustomed to in Chile. If I ever go back to Brazil, I’d want to definitely take a few Portuguese classes before going in order to really make the most of my time. 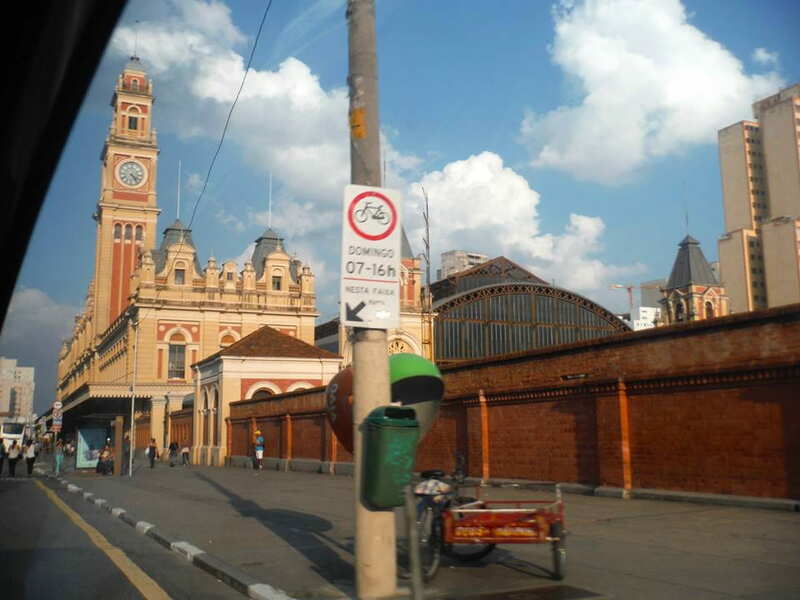 Fortunately, I had my polyglot Brazilian friend to guide me throughout São Paulo, but I’ve learned in Chile, through having casual conversations with waiters and taxi drivers in Spanish, that knowing the local language completely changes your travel experience and also how you are received in a foreign country. Uruguay: Day One Fast forward to the end of May: I’ve traded the megacity of São Paulo for the more relaxed Uruguayan capital of Montevideo. The entire population of Uruguay (a little more than 3 million) is only about half of the population of the entire Santiago metro area in Chile (between 5 and 6 million)! After studying in Chile and later visiting Brazil, I can see why it’s so easy for people to not pay attention to this small country. Nonetheless, although Uruguay isn’t as big of an international player on a global scale, I would highly recommend that any traveler in South America spend at a least a few days in the country to take a break from its giant neighbors. It’s fascinating to see how a smaller country operates socially and politically in South America. 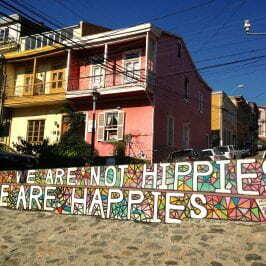 More importantly, despite its size, Uruguay has a very rich mix of cultural influences. Walking around the city, I could never tell if I was in Europe or Latin America! At times, I felt as if I were in an Italian or Spanish city after strolling through the city and taking in all of the architecture. 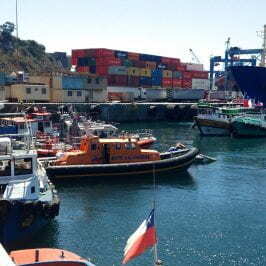 I arrived in Montevideo in the afternoon on Wednesday, May 20th. On this first day in the city, my travel partner and I dropped our things off at the hostel and then headed directly to the capital’s historic center, the Ciudad Vieja (“Old City”). As a history major interested in the Black Atlantic (an interdisciplinary academic field concerned with the history, writing, and cultures of people of African descent in the New World), it was rewarding to learn about the importance of slave-descendent Afro-Uruguayans in the development of the small country’s artistic culture. 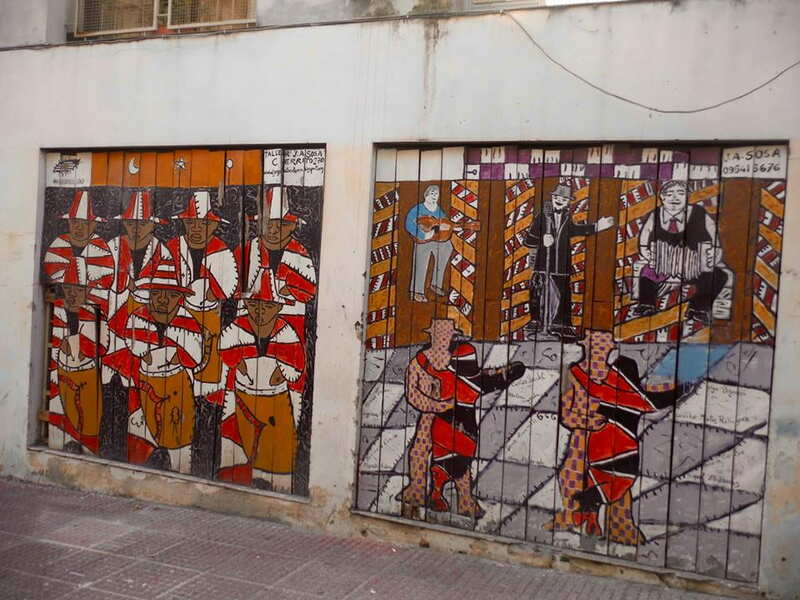 In Ciudad Vieja, one can catch murals of candombe musicians. Candombe is an Uruguayan music and dance style that reflects the black cultural presence in Uruguay in general but Montevideo in particular. Whether I’m in North America or Latin America, it always fascinates me to learn how the cultural traditions of African slaves and their descendants form an essential aspect of the greater culture of a society. 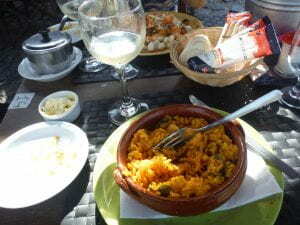 Another highlight from my first day walking around Ciudad Vieja was the Mercado del Puerto. This giant indoor facility houses a variety of Uruguayan restaurants, most of which offer many kinds of grilled meat. 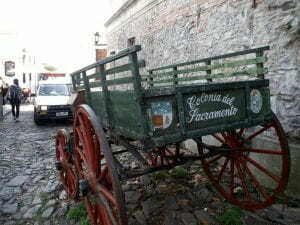 Above all, Uruguayans are known for their agricultural industry. The meat is usually cooked on a parrilla (grill). I didn’t think Uruguayan health issues would be as dramatic as the U.S. but there has been a recent political movement to reduce the salt intake of Montevideo’s residents (check out the NPR article here). Within the city’s limits, you won’t be able to find a salt shaker on restaurant tables any more! However, I was quite disappointed by the simpleness of the Ciudad Vieja’s Plaza de la Diversidad Sexual. I definitely overestimated the appeal of this memorial plaza before arriving. I had heard and read so much about the progressive cultural climate of Uruguay that had led to a relatively high acceptance and celebration of the LGBTQ community compared to other Latin American nations. 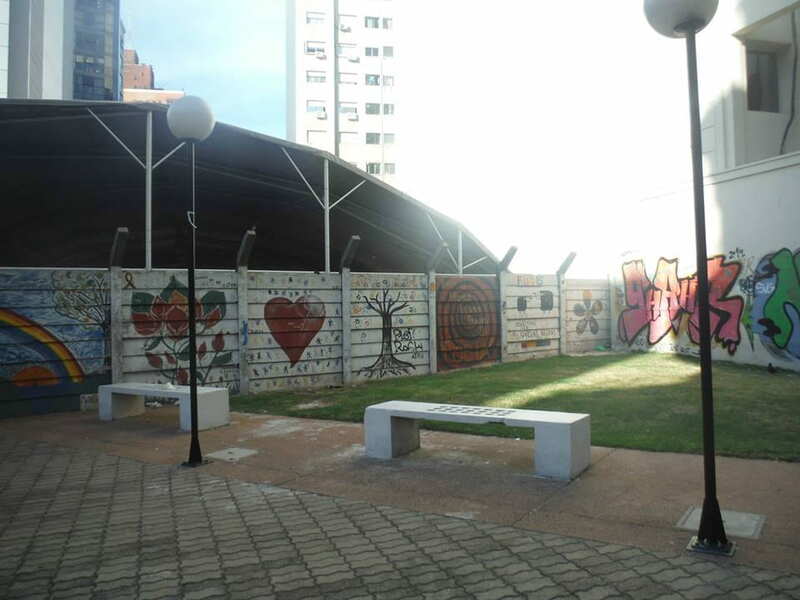 In 2013, Uruguay became the third country in the Americas (after Canada and Argentina) to “eliminate laws making marriage, adoption and other family rights exclusive to heterosexuals.” I guess I expected something more breathtaking than just murals and graffiti. 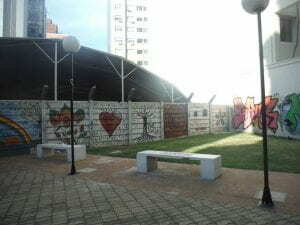 Nonetheless, the fact that a space celebrating sexual diversity exists at all in a city should be something to appreciate! 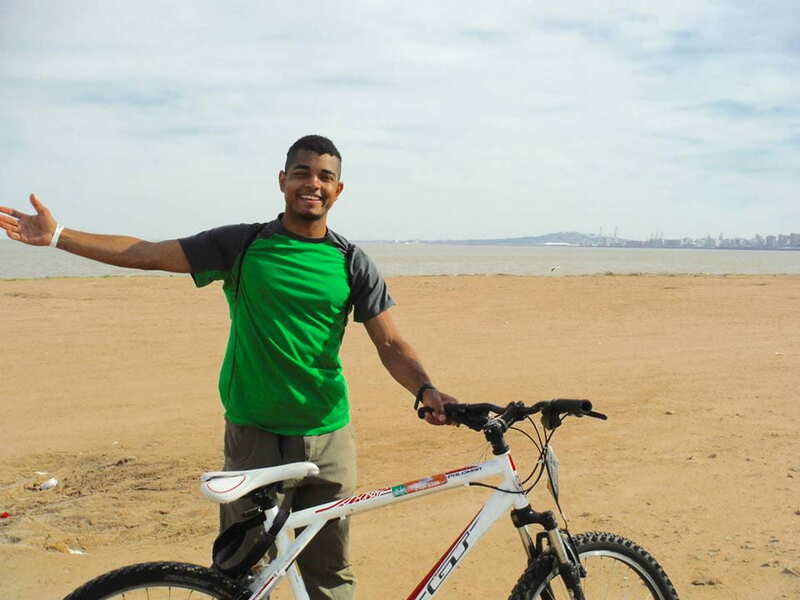 On the second day in Montevideo, I biked along the Rambla, the bike path hugging the coast of the city where one can stop periodically to take a few snapshots of the beautiful beaches along the Río de la Plata. 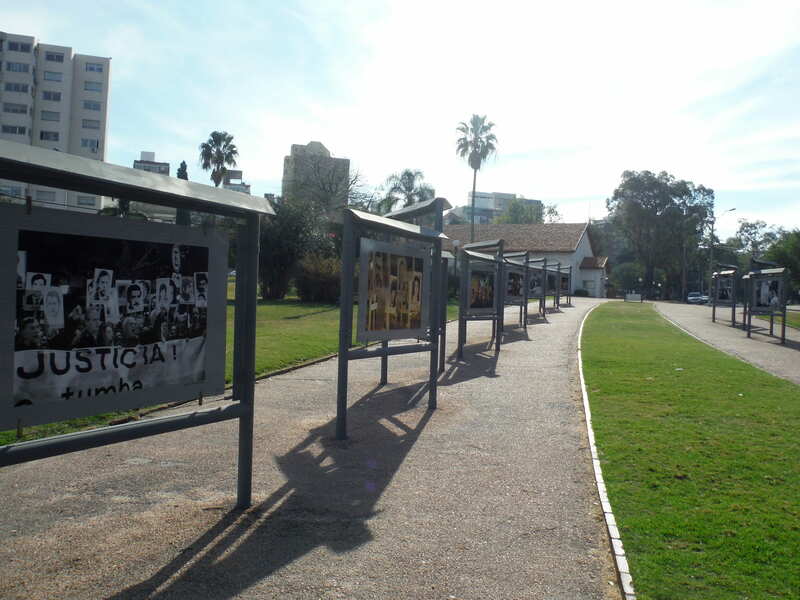 On my bike ride, I passed through Parque Rodó, where there was a photo exhibition to encourage reflection on the days of dictatorship in Uruguay in the 70s and 80s. So many Latin American countries have had histories under dictatorship that often get overshadowed by the stories of dictatorships in larger countries in the region like Chile and Argentina. Traveling from Chile to Uruguay gave me a chance to recognize the extent that different Latin American societies intersect in regard to historical experiences and collective public memory. That Thursday evening, I was also fortunate enough to meet up with some Uruguayan friends for a dinner at a restaurant in the evening. The friends I dined with had traveled to Amherst College for a leadership program where they learned about the culture and history of U.S. institutions. I had the chance to serve as a mentor for them during their time in the States and it was great to see what they had been up to in the past year. I loved hearing directly from Uruguayan university students about their country and their culture. I can’t emphasize how important it is to spend time with people, not just places when traveling. It can make the difference between being a traveler or just a tourist. We feasted on a shared giant plate with a variety of grilled sausages, chicken, and steak. You just grabbed whatever piece of meat you wanted from the pile in the center of the table! Without a doubt, Uruguayans definitely have a lot of national pride in the meat of their cuisine. I kept wondering what it would be like to be a vegetarian in this country! 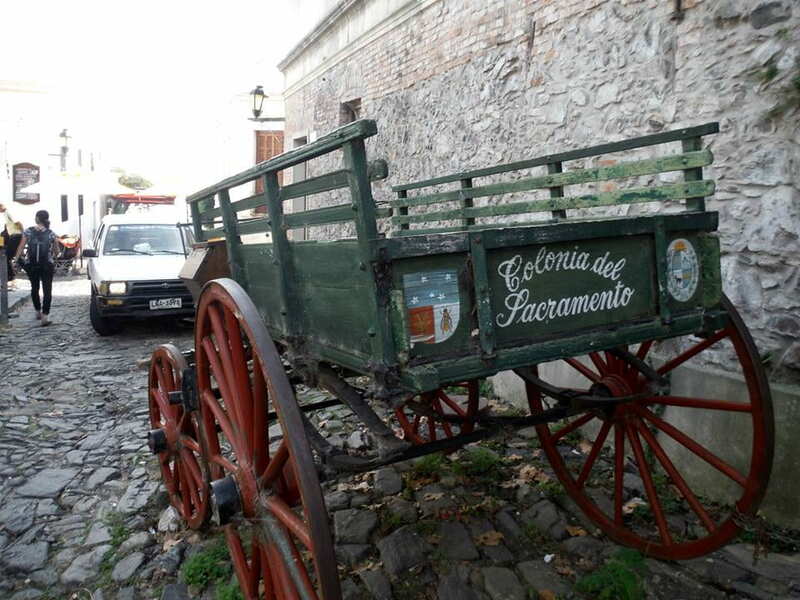 On the third day, I headed to Colonia, a historic town about three-hours away from the capital of Montevideo by bus. Declared a world heritage site in 1995, the town was initially founded by Portuguese colonists as a military fort until the Spanish took control. 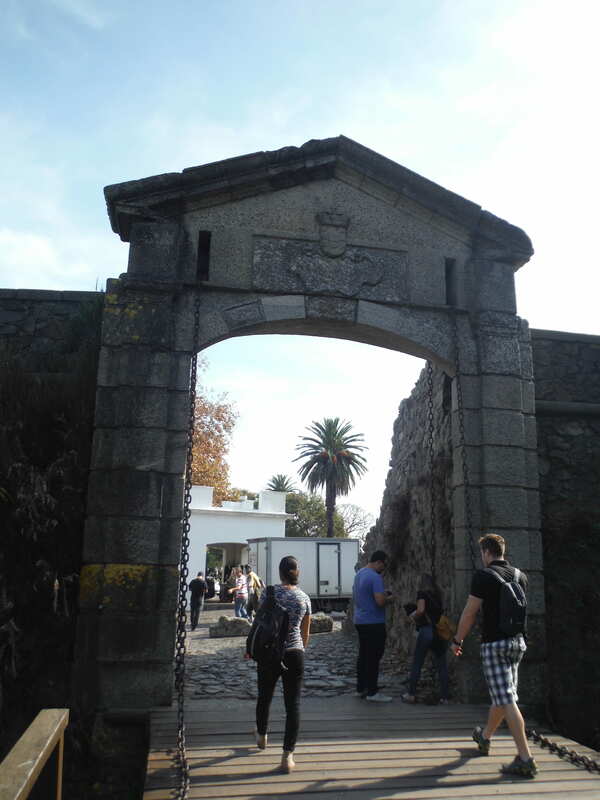 It was really amazing to see how one town could fuse the architecture and culture of both the Portugal and Spanish colonists that lived there. Everything the town has to offer can be done in a full day so it’s definitely a good day trip for tourists wanting to see more of Uruguay than just the culturally dominant capital city of Montevideo. And on the final day, before leaving Montevideo for the airport, I spent some time walking through the Ciudad Vieja one last time. I managed to pick up an empanada filled with dulce de leche (I have yet to find a desert empanada back in Chile!). On the way back to our hostel, my friend and I stopped by the Intendencia. From the top of this cultural center, one can see a panoramic view of the entire city and read informational plaques about the surrounding buildings. 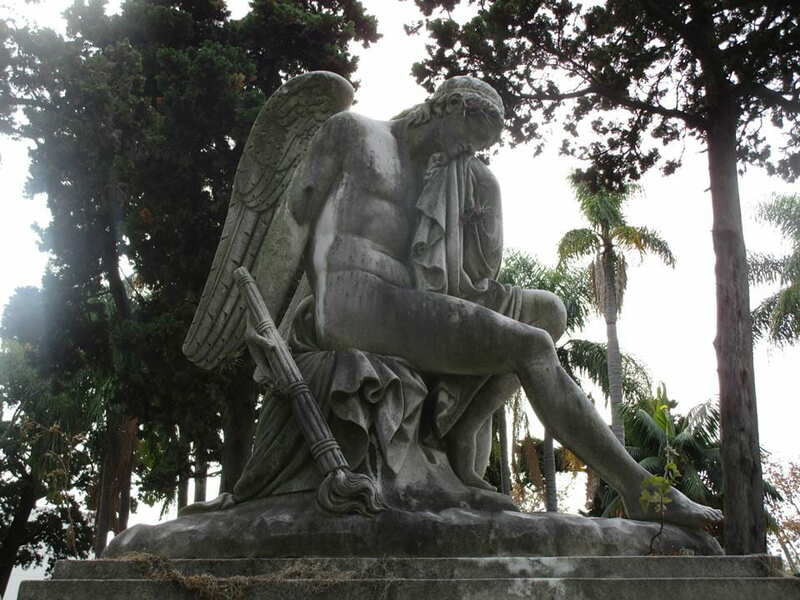 We spotted the Cementerio Central de Montevideo (the city’s historic cemetery) from above and headed there even though it wasn’t on our list of landmarks to visit. Sometimes, you just have to go with your gut feeling. While some might think it is weird to visit a cemetery as a tourist, reflecting on the architecture, sculptures, and history of the place can be quite rewarding. 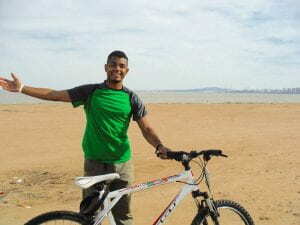 It was nice to end the trip by doing something that I hadn’t planned at all! And speaking of not having a plan…sometimes it does indeed pay off to double-check things. My friend and I got lost on our way to the airport! Somehow we thought we could flawlessly navigate Montevideo’s public bus system and effortlessly make our way to the international airport. However, we got lost and ended up getting off the bus at an airport…but one designed for physical cargo rather than human passengers. We walked about a kilometer and passed quite a few Uruguayan military facilities and guards to finally arrive at the airport where we actually belonged. 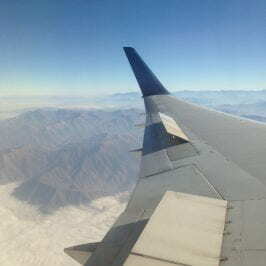 While I initially was rightfully preoccupied at first that we wouldn’t make our flight, I quickly became comfortable with the uncertainty. It’s definitely nice to have everything in order at times. However, being lost can be part of the adventure and fun of traveling. You learn to be resourceful by using what knowledge you do have or asking around for help! At that point in the trip, I couldn’t help but laugh rather than get frustrated. What other passenger on my flight could say they got lost in the outskirts of Montevideo but still managed to walk all the way to their airport with plenty of time to spare before the flight?